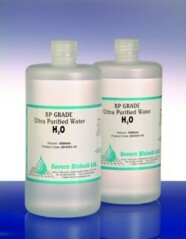 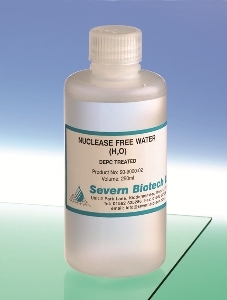 This Sterile Highly Purified Water product is DEPC treated and manufactured to eliminate RNase enzyme activity. 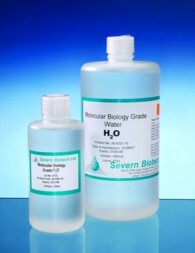 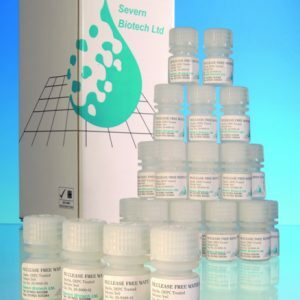 It is Autoclaved sterile and is suitable for use in PCR work. 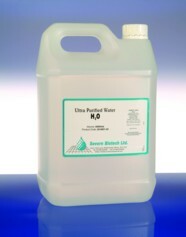 Available in two packaging formats either a single 250ml bottle or in 50x 5ml aliquots to prevent cross contamination.